The makeup industry is designed and shaped by the changing needs and demands of the consumers. And it is not only about looking beautiful. People are becoming more and more concerned about their skin‘s health, blame it on the environmental conditions to start with. The demand for best quality cosmetic products keeps surging. And, Thanks to the internet, the makeup industry is booming like never before. Consumers can order a product of their choice from anywhere around the globe. In the early days, makeup trends were driven by celebrities but those days are long gone. Almost 82% of women agree that social media drives the trend. Having a high-quality is a must for moving your makeup business forward but it doesn’t end there. Before we proceed, let me tell you who we are and what we do? We are a digital marketing company for Bangalore makeup artists and we help them create their brand online. Taking your Makeup business online is the smartest thing you can do today for growing your business. With more and more mobile shoppers today, businesses are taking advantage of it and gaining maximum profit. People hardly surf the internet from a desktop these days and hence, the increase in mobile sites, stores and Facebook pages. By creating a strong online presence through mobiles, either by creating a Facebook Page, sharing your website on social media, or by developing a mobile store for your makeup business, you can make strong and unique brand awareness. You can let people remember you. Also, engagement can be done on a daily basis with the customers generating sales. Lead Generation sites are there for a reason but joining the Urbanclap alone will not take your business to the next level. To soar high, you will have to be able to compete with your peers and provide a cutting edge. More than 70% of the makeup artists have joined the lead generating site and your chances of boosting your business are reduced. So, you don’t want to take the same course, do you? A website is like the face of your business. It works as a portfolio that can either attract clients or keep them away. Hence, a well-designed website loaded with useful information is necessary for boosting your business. It will not pinch your pockets and the amount you spend on building it can be gained back within no time. Contact us for more information. Facebook is the ultimate platform to showcase your brand and reach out to targeted audience. You can get pictures of your clients along with your works and get them listed. Remember, you are missing out on a lot if you aren’t making proper use of Facebook for marketing. Invest some cost in the social media platform and garner likes, you will not regret the choice. Create a blog containing useful information in your niche and get it linked to your website. Keep updating fresh contents like Makeup Tips and do more by sharing it on Facebook. Your followers will eventually keep increasing. One of the quickest ways to get returns online is Google Ads. You can spend some amount and time in it if you want to see results from Day 1. It has worked for everyone and you are not an exemption. Google Ads are shortcuts to garnering leads but going by Google terms, you will have to pay every time someone clicks on it. To make up for your loss and gain double, plan for SEO. It allows you to rank your page on top. You can reach out to an SEO expert in your area. To get it done properly, it will take around 7 to 8 months. In case you can’t trust anyone on it, we are ready to help you. 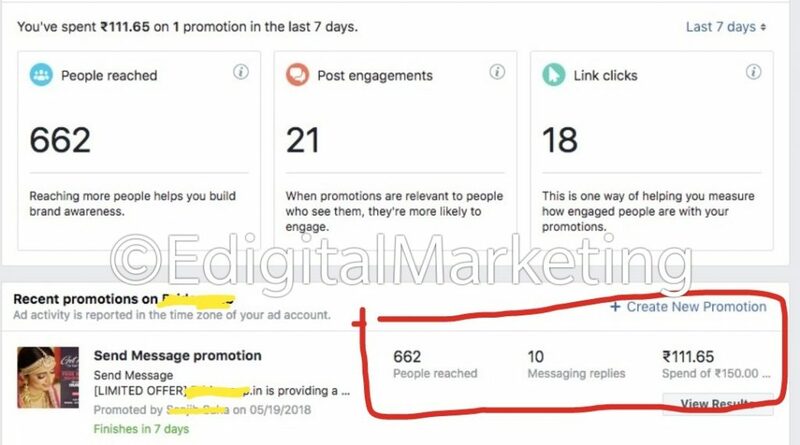 Facebook Ads can get you lots and lots of clients in a short time if you target your audience well. Unlike AdWords, Facebook Ads are targeted towards the interests and demographic of the users providing added advantage. The audience is massive which will definitely include your customers and you don’t have to pay a huge sum to advertise on Facebook. We managed to get 10 leads by spending only 111.65 INR for one of our makeup artist client. Just imagine, the amount of money one can make even if 2-3 clients get converted. We are also taking care of the SEO part for our client. SEO will help them rank for important keywords like ‘Best Bridal Makeup Artist in Mumbai (city name)’. Imagine the number of leads they would be getting once we manage to rank them on page 1 on Google. How expensive is Digital Marketing for makeup artists? You must have already seen the Facebook live result I shared. 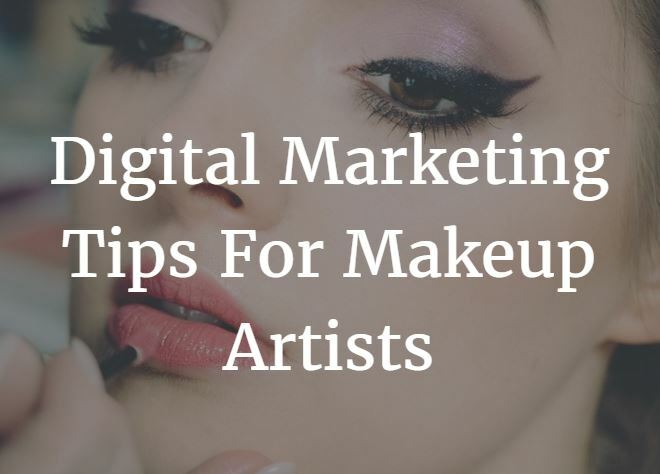 Do you think digital marketing for makeup artists is costly? The answer is, it is not expensive at all, if you compare it to the investment you will have to make in case you opt for TV ads or newspapers. And also, by choosing digital marketing, you are choosing a wider and more targeted audience. All you need is a proper strategy to grow your makeup business and I can help you achieve that positively. You will notice a growth rate of 5 to 6 times within one year. Are you ready for a wider audience? There are countless people out there who are willing to be your customers. Don’t be stuck with a limited audience. Take action now and make them yours. Bangalore makeup artists, take a note. If you need any help with digital marketing, we are here. Call +91-7032414385 today. Please get in touch with us and we will be happy to guide you. Or just leave your contact number and we will reach you at the earliest.